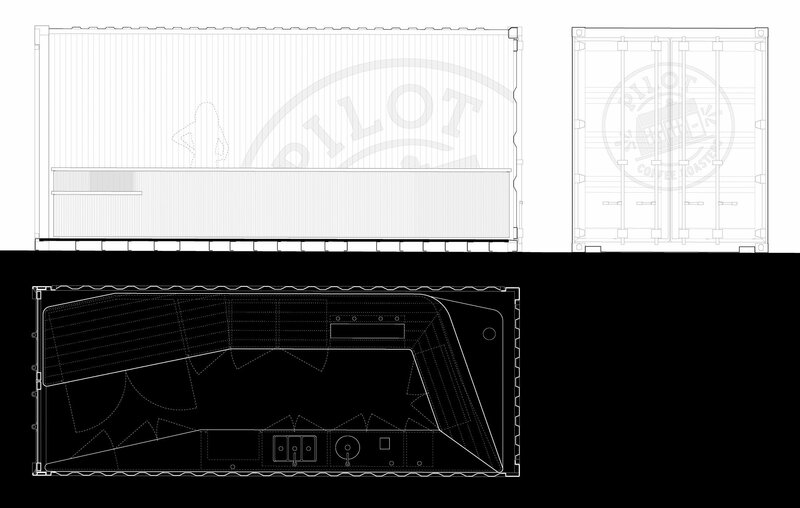 Pilot | Mobile | Williamson Williamson Inc.
One of the first collaborations we embarked on with the owners of Pilot Coffee Roasters was a mobile cart: a self contained unit that could be wheeled into a venue, plugged into a power outlet, and in minutes be producing espresso based drinks. There was no need for external plumbing, only power to run the machines. 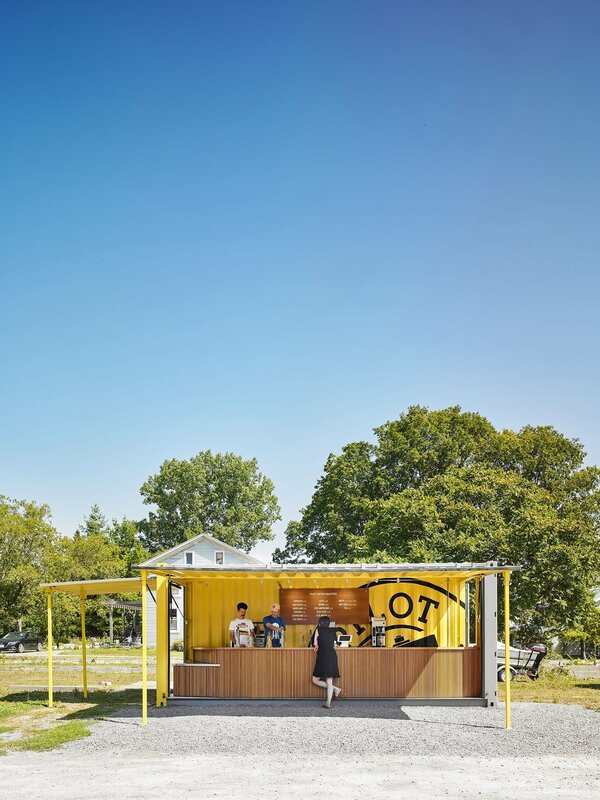 The systems developed for the first mobile cart, which found its way into the AGO, Four Seasons, and TIFF, generated the idea that if the mobile cart was sheltered, it could be transported as a self-contained space to locations across Toronto and the surrounding area. 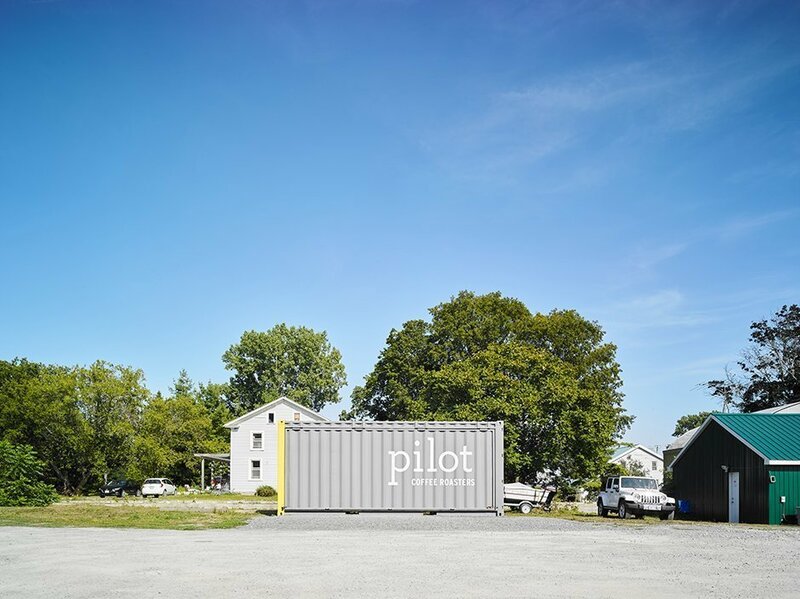 By fitting out an 8’ x 20’ shipping container with Giant Containers and BL Woodworking, Pilot has flown to cottage country, spending its first summer in Prince Edward County. 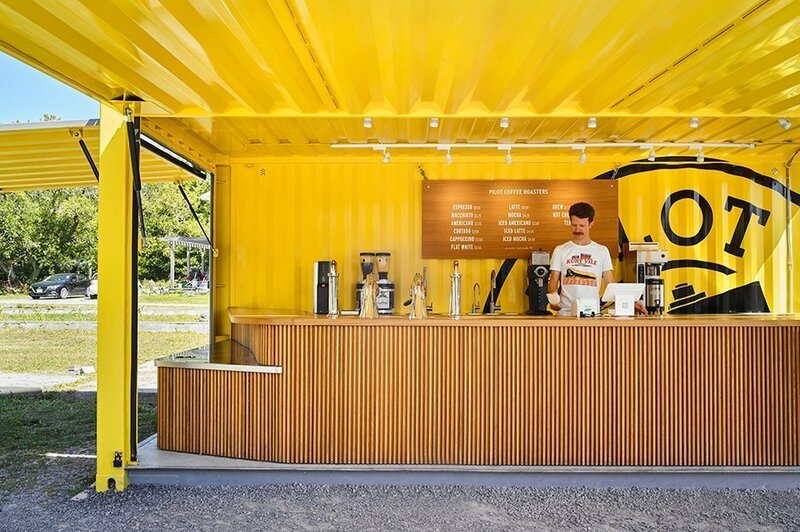 Two sides of the container lift and prop open to expose a barista counter and create 225sf of sheltered customer space. Hidden behind the oak millwork are the tanks, pumps, boilers and refrigerators that support a full service espresso counter. 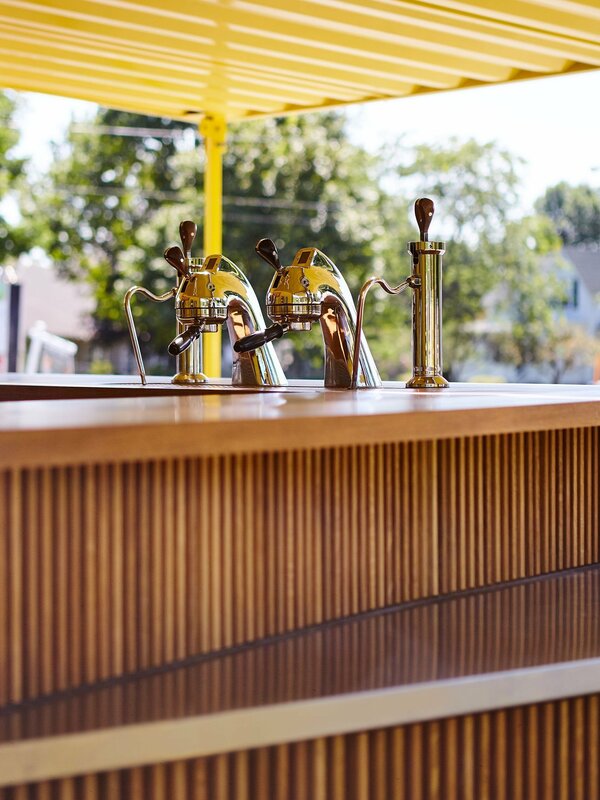 Each morning the baristas raise the flaps, creating a sheltered and shaded space for the customers and staff signalling that Pilot is open for business!